The good thing is that although the months are flying past, July has been another great one for me. I had another piece published on the Huffington Post, which still gives me goosebumps and major appreciative daydreams as I have to pinch myself when my writing is published there. Then I also watched my little man complete his first year at ‘big school’ and to top it off there’s a guy – watch this space. So July has been pretty good to me! It’s also been a fantastic month for amazing products and I’ve had so much fun trying out some new bits and pieces that I’ve been recommended or simply just picked up along the way. As with all my monthly favourites posts, there’s more than the average beauty bits here, so I hope you like the sound of these goodies as much as I’ve loved using them! Firstly – it smells gorgeous. Really luxurious and sweet. A hint of vanilla mixed with exotic fragrances, I love how this makes my hair smell! But the real joy this past month has been watching how it’s kept my highlights looking bright and golden – and exactly how I want them to look, without fading. 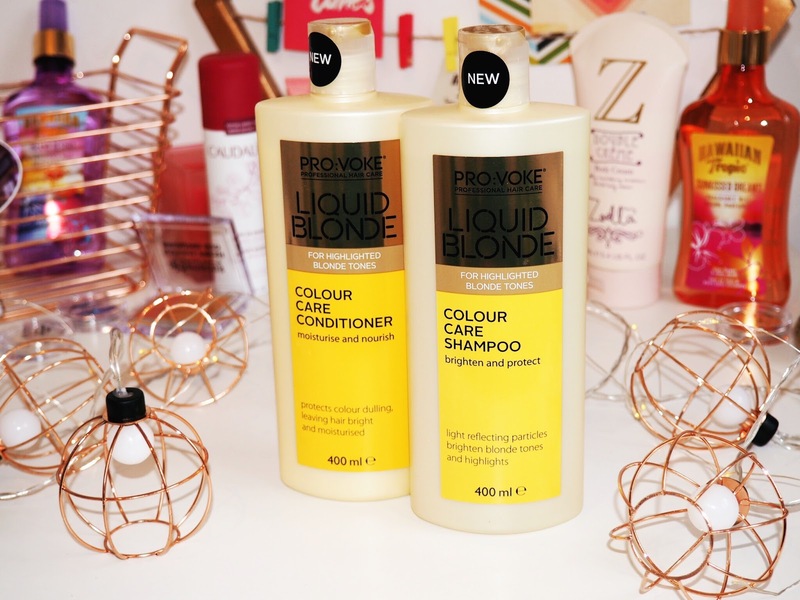 The shampoo is really gentle and works to stop build up while also safeguarding my colour. The conditioner also repairs damaged hair – which is really important for me in a hair care system as I use my straighteners every day. My hair is feeling lovely and soft, the colour is bright and I’m so impressed that there’s finally a system for highlighted blondes that actually works for me. I’m not the sort of person who ever leaves the house without perfume. However with my holiday only three weeks away (and so my annual perfume stock-up at World Duty Free) I’m running low on perfume right now. 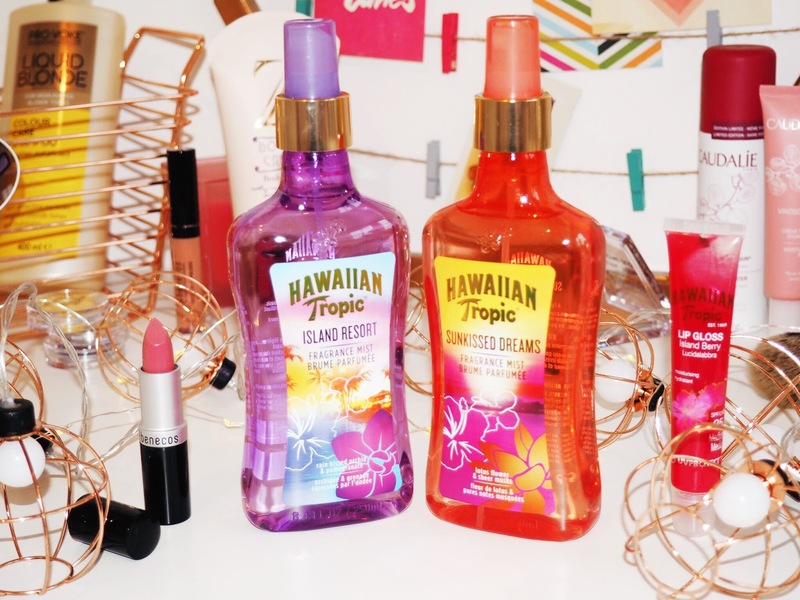 These Hawaiian Tropic Fragrance Mists have been a lifesaver and I’ve been so impressed with the scent strength. I don’t usually buy mists or sprays because I like heavy scents that you can smell for ages and that stick around for a while without losing their strength. However these seriously cute and tropical looking bottles hide a very lovely scented mist that I’ve been really enjoying in July. I’ve been trying the Sunkissed Dreams scent (Lotus Flower and Sheer Musks) and the Island Resort (Rain Kissed Orchid & Pomegranate) mists and both are equally as lovely. Typically fruity and light, they’re both delicate and easy to wear. Plus I like to literally dowse myself in scent – whether perfume or mist – so these are perfect because you don’t have to worry about the cost implication of over spraying an £80 bottle of perfume.. These mists are only £10 for 250ml which lasts ages and the Sunkissed Dreams has become a handbag essential this month for me. I’ve been seeing the new Zoella range of body treats everywhere recently. It’s taken over the blogasphere and I’d been meaning to try something from the range just to have a go. 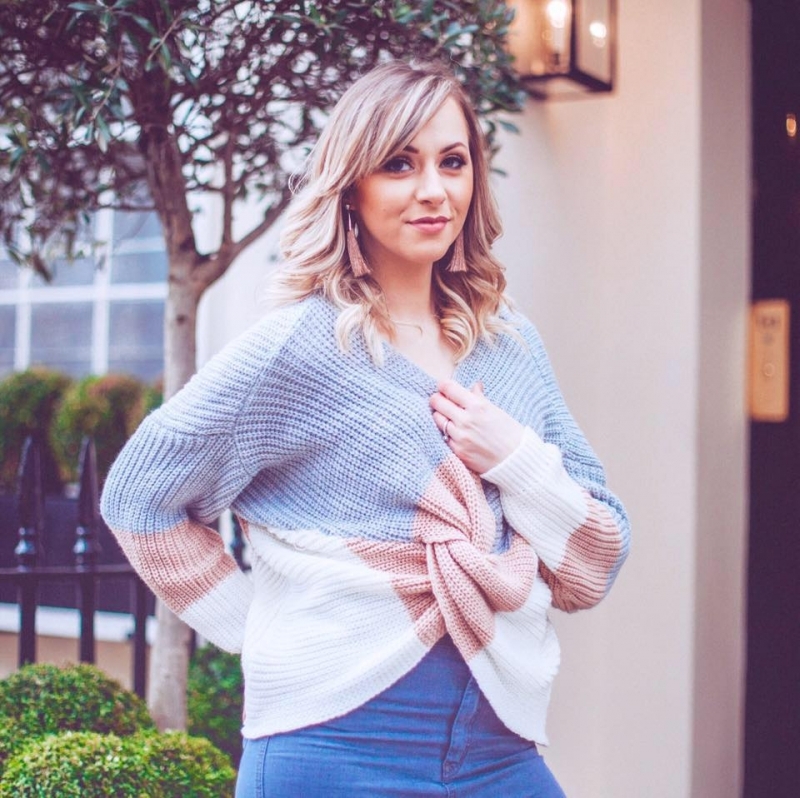 I’m a fan of Zoella – let’s be honest, she’s the blog Queen. 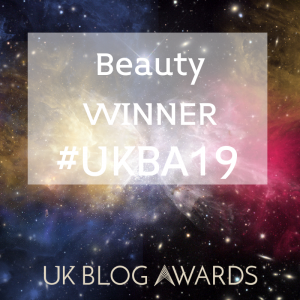 What she’s done for blogging can’t be denied and I’m all for her ranges of beauty products – good on the girl for doing well! So the product I’ve been using this past month is her Body Cream. The first thing I need to say is…it’s scented like MACARONS. The scent is beautiful – so sweet and delicate and quite honestly it smells delicious. It’s not an overpowering scent for a body cream, but very gentle and lovely to wear. I’m big into body creams at the moment and this is a lovely, light way to add some extra moisturisation to the skin. It’s a good every day body cream to use after morning showering in-between once or twice weekly intense body creams. For only £5 it’s July’s favourite body product for sure…especially because my skin smells like a bakery all day after applying! Another brand I’ve seen a LOT of recently was Caudalie. I like to think that there’s no smoke without fire, and this brand has been getting a lot of good press for their products recently, so July seemed like a good month to give it a go and try my first ever Caudalie products. I’ve been working my way through the Moisturizing Sorbet which is a creamy gel that you apply as part of your daily facial regime. It acts like a moisturising serum – but all in one. I’ve been applying it in the mornings instead of my normal moisturiser and my skin feels really soft and lovely. It’s got a floral scent and it’s not greasy at all – which is my primary consideration with facial moisturising products. But for me the area I’m loving it for is my neck – I never usually pay attention to my neck, and this cream is fantastic. It’s left my neck feeling great and soft and I’m really happy with the results. The next item I’ve been using is the Caudalie Limited Edition Grape Water. This now has a happy home in my handbag because it’s great as a daily pick-me-up and refresh. In the mornings I set my make-up with a setting spray, but use this throughout the day to refresh my skin – it’s great after sitting through meetings at work in air conditioned rooms. A quick spritz and I feel fresher and it’s non greasy, meaning I don’t need to blot afterwards or worry about it encouraging excess oil. It’s only £6 too so it’s an absolute bargain. I try to be a good beauty blogger and wash my brushes once a month. I wish I did it weekly to be honest as they feel so much nicer when they’re freshly cleaned, don’t they? But I have so many that’s it’s near impossible to find the time to do them all. However the Eco Tools Cleansing Cloths have been an amazing new discovery in July. Each pack is £6.99 and comes with 25 wipes and they’re so quick and easy to use as a quick alternative to a full brush wash. They’re supposed to be used as a daily cleanse for your brushes but I use mine every couple of days when I feel like my brushes could do with a quick pick me up. 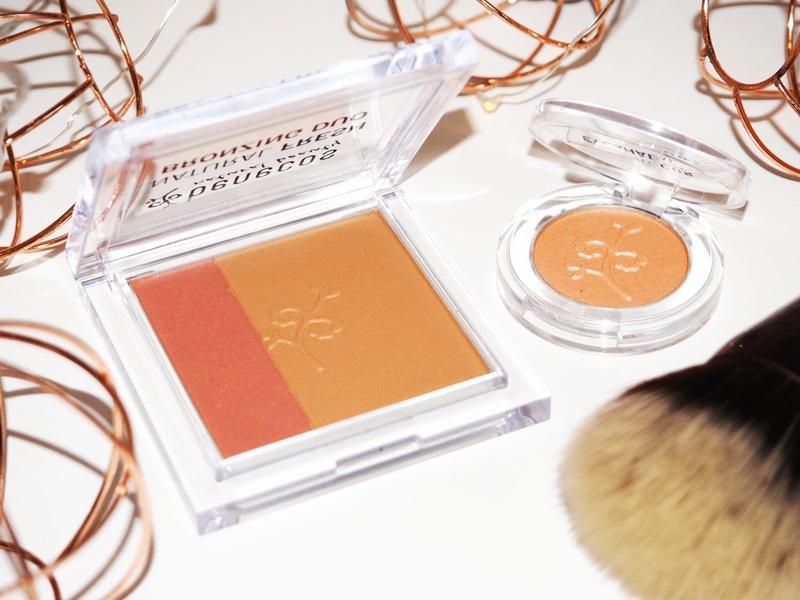 I am swearing by them for my eyeshadow brushes though – because I like to mix up my colours, these wipes are great for cleaning off excess eyeshadow in-between usage. Plus, when I go on holiday (did I mention I’m going to New York?! YEAH!) in three weeks these are absolutely coming with me for easy travel cleaning. Very impressed with these. 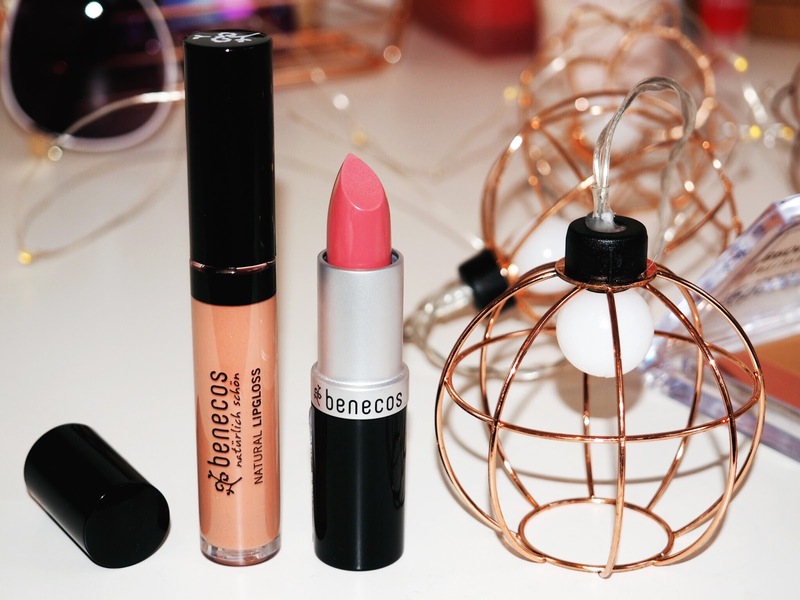 Speaking of make-up things, I’ve been trying out the Benecos Summer Collection, which is a new 15 piece make-up collection by natural brand Benecos. A lovely bright collection of summery colours, the collection is almost all vegan friendly and free from nasty parabens and synthetics. However being a natural brand doesn’t take away from the quality at all. With great price points – for example the lipgloss is only £6.95 and the eyeshadows are £3.95, these are great drugstore products. Favourites in the range would be the everyday First Love Lipstick which is a lovely muted pink and the Hot Summer Nail Polish is currently being sported on my toes. If you’re looking for a vegan friendly, cost effective way to sport summer make-up specials then Benecos are doing it right. 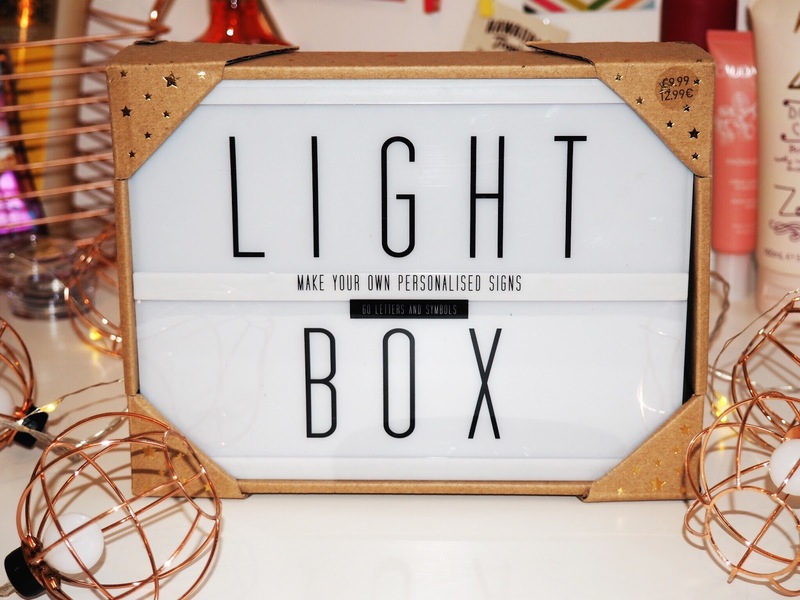 I get so many of you asking about the light box from my blog photos, and I’m always happy to tell people that it’s the Heidi Swapp Light Box – which is £35 from Hobbycraft. Not only is it on the pricey side, you have to pay for all letters, symbols and other inserts – completely separately. And at an average of £5 per pack, suddenly getting a light box gets very expensive… So because so many of you had been asking, I’ve been looking out for a good dupe for you all. The best one I’ve found is from none other than New Look – who, by the way are slaying it with their homeware right now. They have a seriously cute mini light box for only £9.99 AND it comes with 60 letters and symbols included. You do need 6 AA batteries for it, but it’s size is perfect for blog and Instagram photos. In fact, I like mine better than my Heidi Swapp Light Box for Instagram because it’s smaller size works better with close-up images. There’s no link for these on the website, but I’ve seen them in every New Look store I’ve been in, so grab one from your local. So those goodies have been keeping me fully entertained, feeling fresh and smelling lovely…Here’s to August – which hopefully won’t fly past quite so quickly! I’d love to know if you’ve tried any of these products. And if not – which of these do you fancy giving a go in the next month?